This is why I’m lucky. We have small family farms to buy our meat, chicken and eggs from. We drive to them. No antibiotics, no GMO. feed, pasture raised! It’s like it was on our farm 60 years ago. This other stuff is disgusting! People need to demand better and not accept this crap! 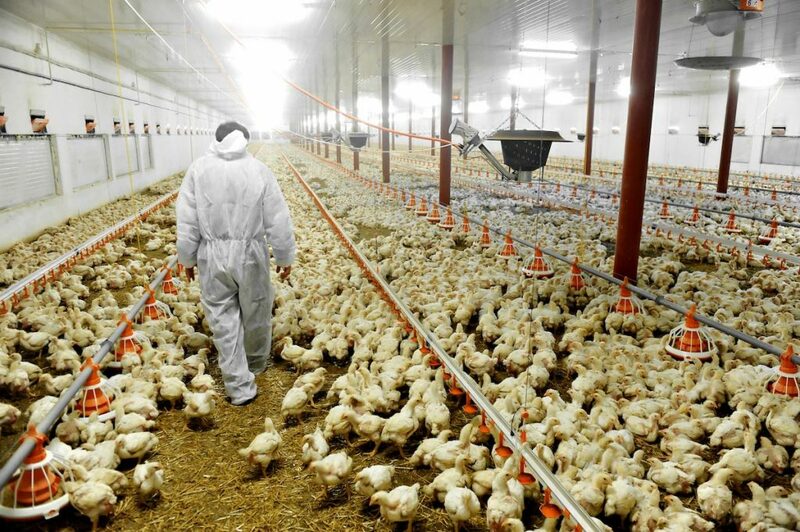 Even with these horrid conditions, each and every chicken chose to incarnate here for some purpose. Their lives are short and they go back to Source with something gained. So don’t worry about the chickens. Raise your own chickens for their divine eggs. Bless the pasture raised chickens you do eat for the gift of animal protein. Eventually, we will get to a vegetarian society and the souls incarnating in chickens will go elsewhere. But for now, most people need the animal protein to heal. Stay focused on gratitude for that animal when eating animal protein. It can heal you and the animal will appreciate you for receiving the gift. A good reaso to become Veg., to save million of abused chicken’s and all animals that die for consumption in horrible condition. Start your own organic little garden, no need of much space for it, and buy directly by the organic farmers for eggs and milk. Some “Organic” chicken is bathed in chlorine too. It is best to buy local where you can look the farmer in the eye and ask them about their products. It isn’t just chicken meat that is chlorinated. Your flour is also chlorinated and brominated. I used to buy my eggs from out of state in order to avoid California eggs which are also chlorinated, but the supplier will no longer ship to California because the government goons will destroy the eggs upon entry into California under the guise of “protecting the health of Californians”. And you all probably think that our water is heavily chlorinated in order to sanitize the water supply. Are you aware of the soldiers who died so young of cardiovascular diseases after being instructed to put chlorine tablets in their water canteen? Everyone should listen to the Project Camelot interviews of Dr. Pete Peterson (parts 1-3) with special attention to his whistle blowing on halides (chlorine/chloride, bromine/bromide, and fluorinefluoride).